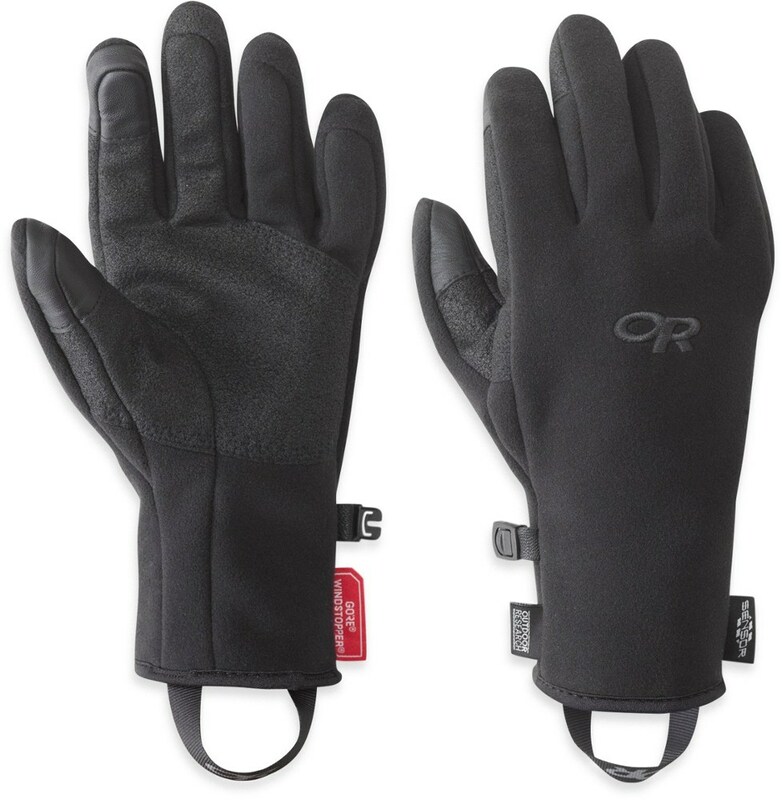 Warm, lightweight, wind and water-resistant gloves. 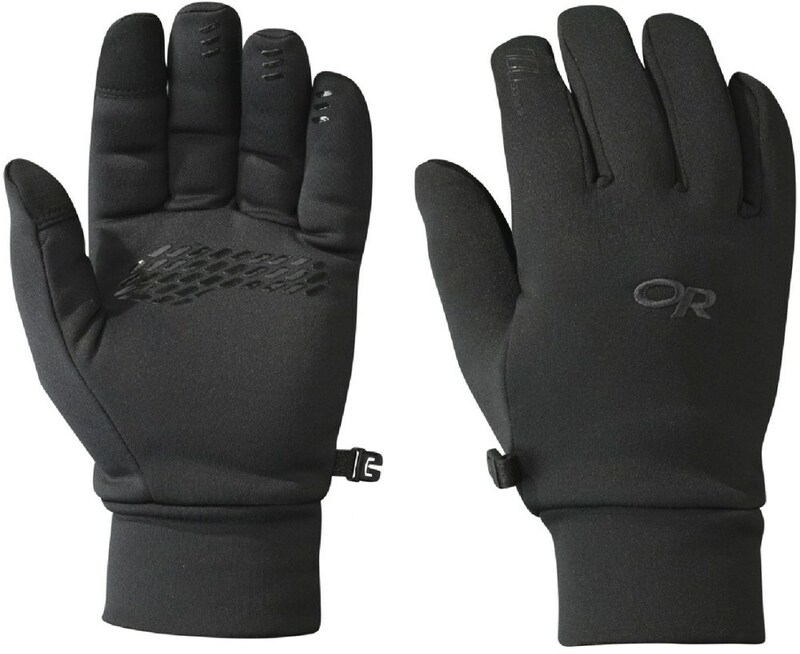 Warm, lightweight, wind and water-resistant gloves. The e-tips work every time, and for me at least they’re warm at temps much lower than most reviewers report. Ummm...the inside catches the cuts and cracks on my hands? 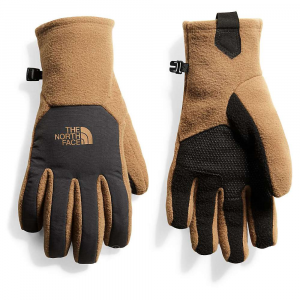 i bought my TNF Denali Etip gloves this past winter for use in warmer winter temps, and they worked great while hiking and snowshoeing in those temps maybe 5 degrees either side of 32°F that seem to be so hard to keep hands warm in. 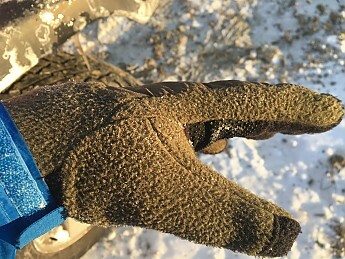 What I found out this winter, however, is that the Denali Etips keep my hands nice and warm snowshoeing in temps in the mid single digits Fahrenheit and wind chills about 10-15 degrees colder. It’s nice not having to pull off heavier gloves to take pics, at least until the cold kills the battery. 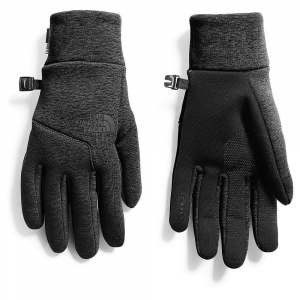 The Denali Etips are mostly fleece, with nylon reinforcement over the backs of the hands and a synthetic suede palm with silicone gripper dots. On the hood of my trusty Jeep after a bit of snowshoeing today. The snow was so powdery that there was really no traction, thus the snow on them from picking myself up after falls on the descent. The Denali Etips have a nice, comfortable fit, but I found them to run quite large. I normally wear a medium or large glove, but small Denali Etips fit me just fine. Luckily I bought them in a store, otherwise I’d have been sending them back for exchange at least once. How they fit on my hand, not too tight and not too loose. They're long enough to stay under my sleeve cuffs unless I really extend my arm. Today was probably the coldest temperature I’ve worn them in. In town it was maybe 12°F and I was up in the mountains maybe 10 miles as the crow flies out of town and 1500’ higher, not to mention winds of 15-25mph. My thermometer takes forever to adjust, but my best guess is it was between 0-5°F. The hands were nice and toasty warm the whole time, even though I was moving slowly enough on my climb that my feet were just a tad bit chilly in my Sorels at first. So, I definitely recommend the TNF Denali Etips without reservation. They perform far beyond my initial expectations. Outdoor use in a full range of temperatures in winter 2017-18 and late fall 2018. Thanks for the timely glove recommendation, Phil. 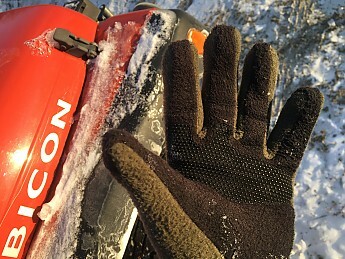 Despite having numerous gloves, I often find it hard to find one that is both warm (most important) for the activity and allows for dexterity when on. While stuck at home I was just going through my gloves and thinking about upgrading my old NF fleece ones. Will look at these...thanks. 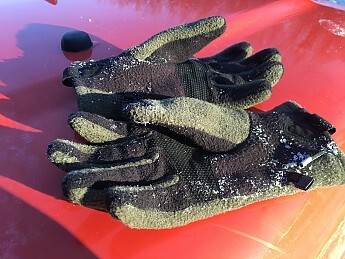 I've used fleece gloves in snowy conditions and regretted it as they wetted out easily. 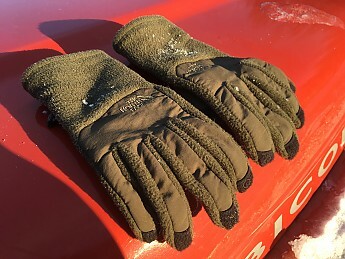 From now on fleece gloves will be used only in dry/cold conditions or as liners for my GTX shells. For those conditions the TNF gloves shown here will be very good. Yeah, if getting them wet is likely I’ll leave them home and wear something waterproof. You don’t want to have a snowball fight wearing these. But, like you say, in dry cold they’re fine. 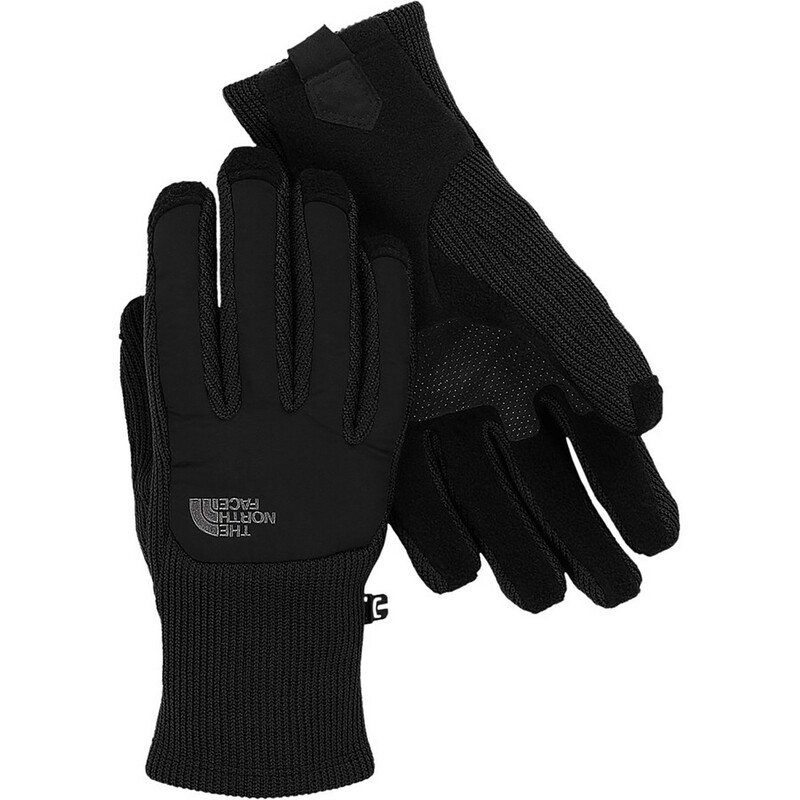 Light, durable, excellent liners that breathe as well as a versatile glove. Not as form fitted as some models. Fit and Comfort: The gloves fit fine. They slip on and off without a hitch. Fleece has that sweet spot of just enough snug without constriction. 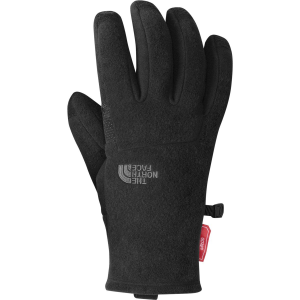 Water Resistance: Fleece does not absorb water, so they keep your hands dry even when paired with a exterior shell (I use a Gore-tex mitt shell). Breathability: Fleece has amazing breathability with warmth retention. Warmth: Warm for temps from 20°F-40° depending on your level of action. The windstopper is strategically placed to keep your hands warm in the right spots. When I ride bike to work, they deflect the wind on my fingers nicely on cold days. Layering: These are my one of my favorite liners with mittens. As long as you leave enough room for the glove to fit in without squeezing you'll find that they are great. If the liner becomes too tight and presses against the mitt too much, you increase the conductivity of the pair and will find that the cold will get in more easily. Construction and durablity: These gloves can handle a lot even though they don't look like much. I've been wearing mine for two years and they haven't worn through the finger tips yet. The stitching is still intact. I've burned a nice hole through the fleece where a hot ember landed on it. Conclusion: I would recommend the Denali Gloves for their versatility to any one. 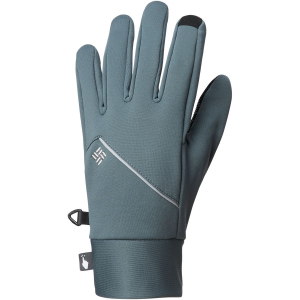 I found that there are some comparable gloves out there that are better (Outdoor Research PL line gloves are more form fitted and just as warm) but there's nothing wrong with the NF Denalis. Thanks for the glove review, Jesse.